I visited Armenia in October 2017. I arrived from Kiev Ukraine on a Ukraine Ar lines flight, pretty good flight. 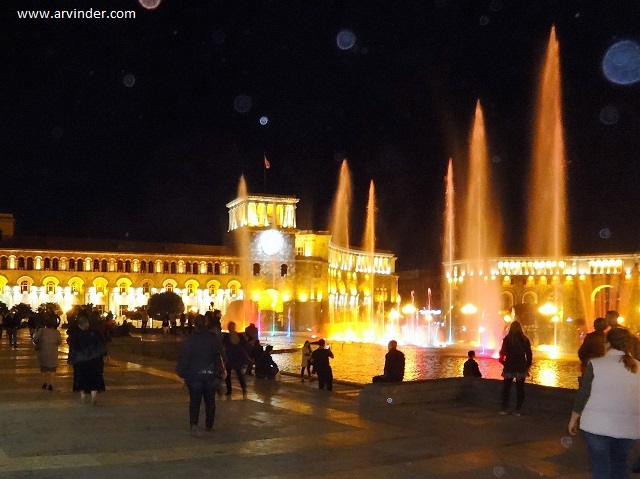 Armenia is a beautiful, full of history and a cheap destination. Airport Immigration and customs is quick and easy and Taxis are cheap. My hotel was less than 10 minutes walking distance from the Republic square. The cab ride from the Airport was $12 USD. At the time of writing this 1 USD = 478 AMD Armenian Dram. The cab ride from Airport to Republic square is about 15 minutes. Weather: October is a little chilly but not too cold, very nice. 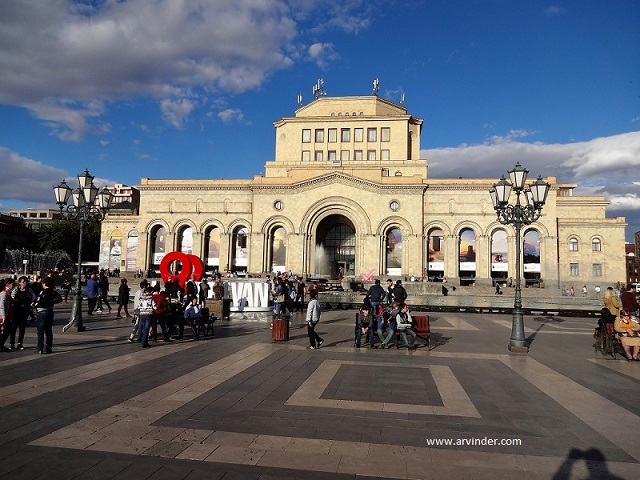 Republic Square is the center of Yerevan and its not square, its round. I went there during the day and night, it was always busy. Lots of people there all the time. Picture below of the Art Gallery and government buildings. I am not a artsy fartsy guy so I didn't go inside to stare at some painting, I did sit on a bench and did some people watching. Republic Square at night had some pretty cool fountain show with music, in front of the art gallery. 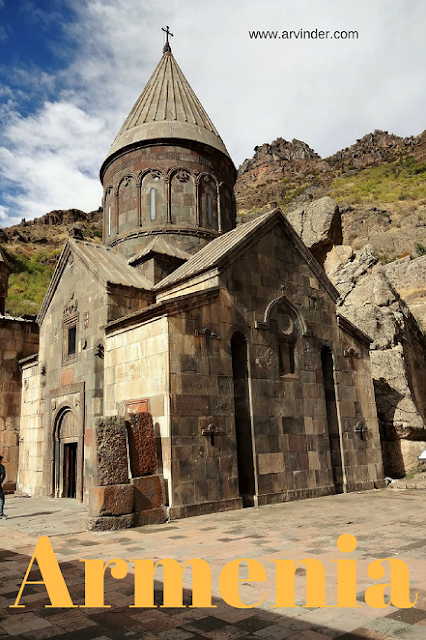 So basically my hotel had organised a tour for a Day Trip to Garni,Gegard and Lake Sevan, they had one more seat left in the comfortable Mercedes Van, the cost for the whole day was was under $20 USD. I asked them for a discount and they knocked 2 USD off. First stop Views of Mount Ararat, Mount Ararat Turkey in the background, Picture I took from the Armenia side. Noah’s Ark is said to be on Mount Ararat. 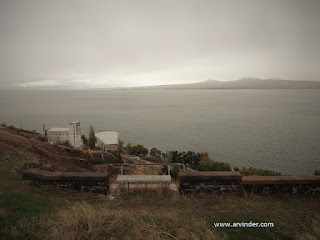 The views were breathtaking, we stopped there for 20 minutes, I did take shoot some video. 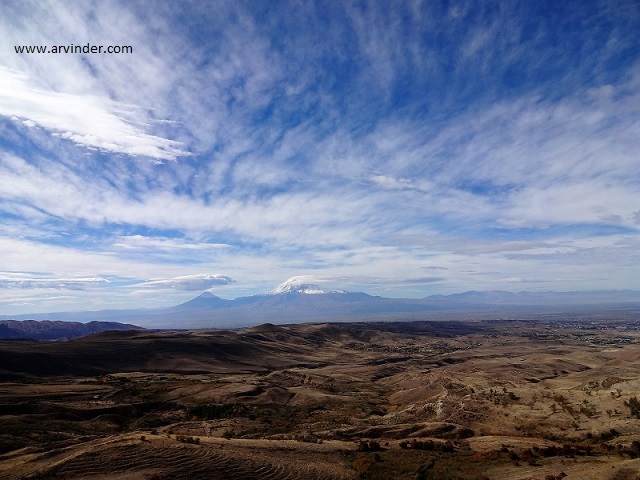 Next stop was Garni, we drove through some very scenic roads. 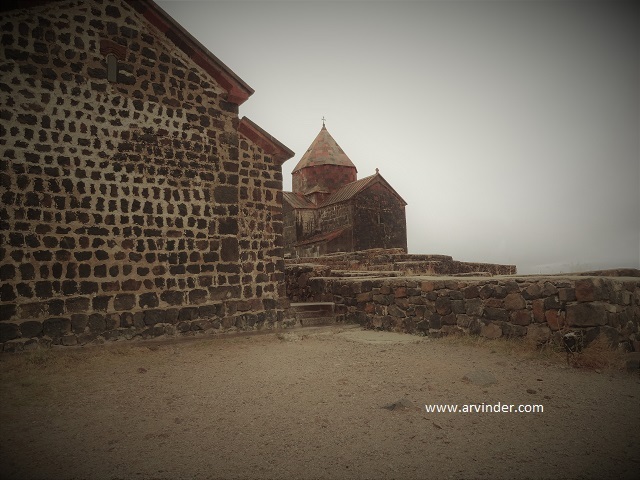 Garni is an hour drive from Yerevan and is from pre christian times, 1st century pagan temple Armenia. Actually it was more of a sun worship temple. The is an opening in the ceiling with the rays if the Sun coming in. 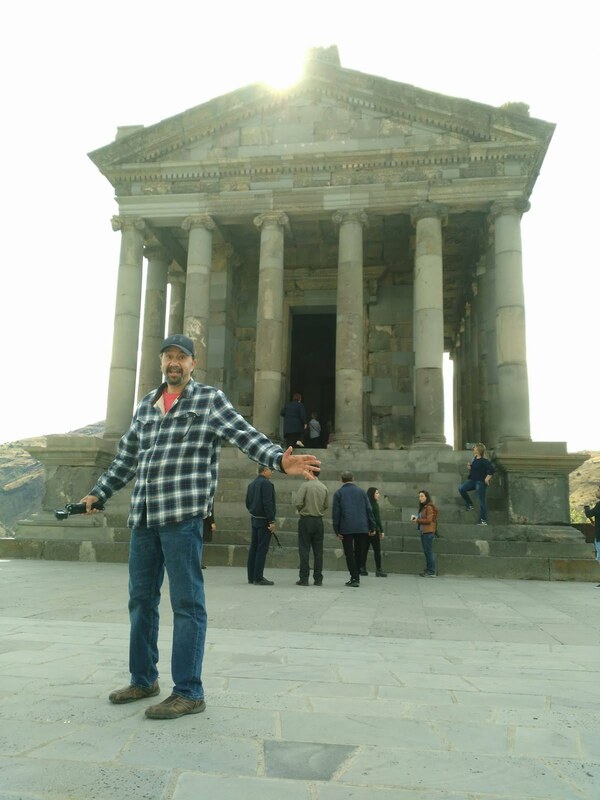 Picture of me at Garni. There is an entrance fee to Garni,under 5 USD. The whole area is very beautiful with hills in the back. It was t-shirt weather. Check out the video below. All these Greg and Gregory's you'll meet or hear about in you lifetime get their name from Saint Gregory of Gegard. 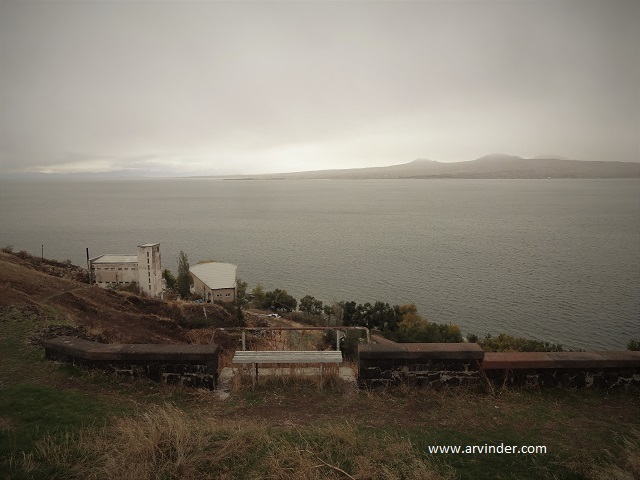 Last stop was Sevan Lake, what was a nice sunny day had become rainy and freezing and I didn't get to swim in the lake. There is a beautiful church on top of a hill. Pictures below. The whole trip took about 10 hours, later I went out with strangers in the night, to the Northern ave, which has some high end shops and plenty of places to eat. As much as I loved the food, the sites and the people in Armenia, it was time for a road trip from Yerevan to Tbilisi. I had a chance to visit Armenia many, many years ago but didn't go. Now it seems so far away - I wish I had taken the trip! What a beautiful place to visit, it certainly looks very scenic and I love the view of Mount Arafat. I love visiting places that are not swallowed by tourism. Thank you for the sharing. Armenia is in my bucket list for 2019!